March 19, 2019 — If you have been on the campus of an active adult community or near a city park lately, you might have heard a repetitive loud sound – that of a composite racquet hitting a softball sized whiffle ball. What you are hearing, along with many cries of joy and frustration, is the game of pickleball, and it is expanding everywhere. Unless you have mobility or other serious health issues, we recommend you get it a “whack”. Pickleball got started in 1965 on a modified badminton court. Kids in gym class sometimes play it because it can be played indoors in a fairly limited space with minimum equipment. Since then it has expanded around the globe, but has really taken off as an activity in 55+ and active adult communities. Pickleball is played on a court that is roughly half the size of a tennis court. There is a net and there are different lines marked to indicate the playing area. Watch the Youtube video above to see a championship match in action! The game can be played as singles (2 opponents) or more commonly doubles (4 players). It starts by a player serving a plastic ball with holes in it from the baseline across the net and to the diagonally opposite opponent. It must land in the box on the receiver’s side and bounce once before being hit back across the net. The small honeycombed racquet is several times the size of a ping pong paddle. When the racquet hits the perforated plastic ball there is a distinctive “whack”. To counter complaints about noise, newer, quieter racquets are coming in to play. March 18, 2019 — Of the thousands of 55 plus communities listed at Topretirements, it is always interesting to see which ones attract the most attention from our Members and visitors. After examining the data from the last 6 months of 2018, here are the 15 most popular communities at Topretirements in the Southwestern states of Arizona, Colorado, New Mexico, and Nevada. This article complements a similar article we wrote earlier this month on the “Most Popular Active Adult Communities in the Southeast“. This year’s winners are a surprising group. None of them are household names, in some cases we are not sure why these communities sparked so much visitor interest. Taken together they reflect the diversity of different types of active adult and 55+ communities that exist in the Southwest. Some of them are relative bargains as RV or manufactured home communities, offering good value at a lower price point. One is a community offering assisted living, which an unusual type to be this popular. One is a cohousing community. A few others are 55+ neighborhoods tucked in much larger master planned communities. About half of the communities are age restricted, although in practice most of the people living in all of them would meet a 55 year age requirement. The biggest surprise in this year’s findings was that Colorado was far and away the most popular state. It had 10 out of the 15 communities on the list – we can see it is a very popular state for retirement! Arizona and New Mexico had two each, while Nevada earned one spot. Utah and Southern California communities had a chance to make the list, but none did. While these are the 15 most popular active adult communities on this site for these four states, they might not necessarily be the “best”. That is for you to determine, based on how well they fit your needs. One big takeaway here is how important it is to spread your net wide when researching active adult and 55 plus communities. There are thousands of choices that might work for you, but you won’t even find out about them unless you look around. If this list does anything for you we hope it expands your horizons. If you are interested in moving to a particular area, at least do an Internet search to get a good idea of the possibilities before you just settle on one you or your friends have heard of. There are many good choices awaiting you! 1. Albuquerque Meadows – Albuquerque, NM. This senior (55+) community offers affordable manufactured homes with friendly neighbors, and activities. Amenities include pool, arts & crafts, exercise programs, bridge, line dancing. 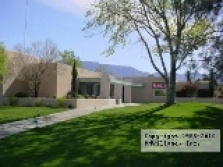 Albuquerque Meadows is located near the foot of the beautiful Sandia Mountains which offer hiking and skiing. 2. Antelope Ridge – Colorado Springs, CO. Comfortable, energy-efficient ranch homes are provided in this all ages community of manufactured homes. The 4,000 sq. ft. Community Center with a ski-lodge look draws residents for events, private parties, working out, and just having fun. There are two outdoor pools, business center, children’s play area, bocce, fitness center, and outdoor veranda. March 13, 2019 — Over the years millions of Americans from the Midwest and Northeast have packed up and moved to Florida for their retirement. They move there because of the warm winters and long coastlines, and retirees have been doing it for at least 100 years. But the Sunshine State has its detractors too; a Florida retirement is not for everyone. To wit, a recent article from Kiplinger, “11 Reasons Not to Move to Florida,” caught our eye. March 6, 2019 — The appearance of a pair of bills in the Florida legislature has brought the issue of short term (usually vacation) rentals to the fore. It is a complex topic, and one that has powerful constituencies on both sides. The purpose of this survey is to find out where the Topretirements membership stands on the issue. We will be reporting on the results, both here at Topretirements as well as our Florida representatives. So please take a moment to answer this very quick survey. Thanks! Comments: Please feel free to give your opinion on the subject, pro or con, in the Comments section below. March 5, 2019 — We were curious to find out which of the thousands of 55 plus communities at Topretirements attract the most attention from our Members and visitors. So after examining the data from the last 6 months of 2018, here are the 17 most popular communities in the Southeastern states of Florida, Georgia, and South Carolina. This article complements a similar one for the Southwest: “15 Most Popular Active Adult Communities in the Southwest for 2019“. The results are a combination of those that are: “of course” (The Villages and several very large Cresswind and Valencia communities that advertise here), a few “head shakers” that we never expected to make this list, and some pleasant “surprises”. 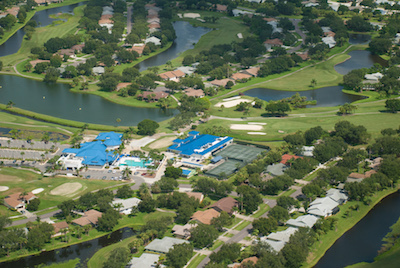 The choices cover a wide range – from really big (The Villages), to 55+ communities within larger master planned developments (Cresswind), to special interest (Indian River Colony Club), to inexpensive manufactured home and RV communities popular with snowbirds (Citrus Park and others). Note that most, but not all, of these communities are designated 55 plus. But the majority of residents probably would meet that qualification in all cases. While these are the 18 most popular active adult communities on this site for these three states, they might not necessarily be the “best”. That is for you to determine, based on how well they fit your needs. One big takeaway here is how important it is to spread your net wide when researching active adult and 55 plus communities. There are thousands of choices that might work for you, but you won’t even find out about them unless you look around. If this list does anything for you we hope it expands your horizons. If you are interested in moving to a particular area, at least do an Internet search to get a good idea of the possibilities before you just settle on one you or your friends have heard of. There are many good choices awaiting you! 1. Cresswind at Victoria Gardens, Deland, FL . 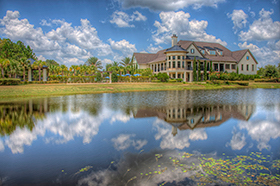 Located within the master planned Victoria Park in Deland, this 55+ community offers an impressive array of amenities. Those include pickleball courts, horseshoe pits, event lawn, numerous parks, lakes and nature trails, not to mention the championship golf available at the Victoria Hills Golf Club. There’s also a bank, pharmacy, salon, nail spa, dry cleaners and other services at the adjacent Village Center. 2. 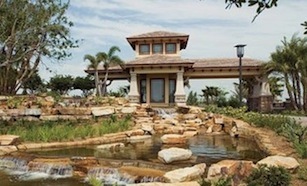 Valencia Cay At Riverland, Port St. Lucie, FL Here is another 55+ community located within a much larger development. Homeowners will enjoy resort-style living with an array of wonderful amenities right in their own neighborhood, and will also have the added benefit of being among the first residents to live at Riverland. 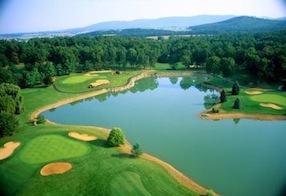 The amenities include a spectacular 34,000 square foot Clubhouse and over 5 acres of recreation. 3. Cresswind at Lake Lanier. Gainesville, GA. 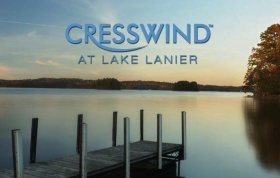 Located in Gainesville on Lake Lanier, Cresswind offers 55+ lakeside living and an Audubon-designated sanctuary. There is a full suite of social and recreational amenities designed for the active adult lifestyle. February 28, 2019 — We thought it would be a good idea to have a central page where all of the various Modules in our Retirement Planning 101 Course would be listed. So here is that list. As new modules are produced we will include them here. When we produced Module 1 (Introduction) you generated a raft of suggestions for the course. Here is a “Summary of Course Suggestions“. The course is free and can be taken in almost any order (after Module 1). There are many interactive features and homework assignments. Module 4, for example, is an online quiz that will give you a score on your retirement preparation. Comments, anyone: We would love to hear your comments and suggestions on the course, including what should (and perhaps should not) be included in the course. See also the “Many comments Made So Far” in this article . LAS VEGAS, Feb. 20 – Laundry rooms and energy-saving features such as Energy Star appliances, windows and whole house certification are among the most wanted home features, according to survey results from the National Association of Home Builders (NAHB). 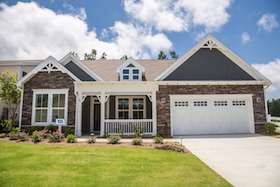 NAHB surveyed nearly 4,000 home buyers–those who have either recently purchased a home or plan to purchase a home within the next three years–ranking 175 features based on how essential they are to a home purchasing decision. The survey was done among home buyers of all ages, so the results might differ somewhat from retiring baby boomers. You might want to keep these in mind whether you are looking for a new home or planning on improving your existing one. The top 10 features also included home-storage needs, such as garage storage and walk-in pantries, as well as hardwood flooring, a patio and exterior lighting. Housing trends across the board include a continued decline in the average home size and decreased demand for upscale features such as three-plus-car garages. In 2018, according to information from the U.S. Census Bureau, the average home started declined to 2,576 square feet–down from its peak at 2,689 square feet in 2015–driven in part by increased production in townhouses, which comprised 14 percent of new home starts. Over in the UK, we’ve been following housing prices fluctuate by using this free tool from TheAdvisory called PropCast. Notes: This is a reprint of an article from 2012, which appears to have disappeared from our site. Over the years we have produced many of these “Worst States for Retirement Lists”. Connecticut has been the “winner”, so has Illinois. Hope your state is not next! In Feb. 2018 we updated this article – see”Worst States for Retirement – 2018“. 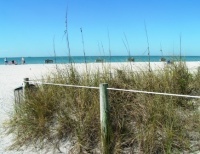 January 10, 2012 — There are plenty of best places to retire lists. But how about the places where it’s not such a good idea to retire? Last year our “Worst 10 States for Retirement” article caused quite a sensation, so we are back at it again for 2012. The purpose is to try to help baby boomers understand where, all other things being equal, they can enjoy their hard-earned retirement without taking on more problems. To make sure you don’t miss updates to this and other lists like it, sign up for our Free weekly “Best Places to Retire” newsletter. Every individual has to consider his or her own criteria for identifying the worst or best states to retire. One of the most important factors for anyone is proximity to family and friends. So, if you want to be near your grandchildren the worst state on our list could be the best state on your list. Likewise, you might not share the same considerations we used to develop this list. Tax issues might be most important for you, or you might not care about spending winters in a warm state. Our 2012 list is based on 5 considerations that we think will be <!–more–>important to most people, but freely admit that these factors could be totally irrelevant to many other folks.